There are many items that people collect - cars, jewelry, stamps, art, wines, pens, antiques, cigars, even sneakers - and of course, watches and timepieces. The reasons why people collect are as diverse as the people themselves. However, almost all collectors have an undeniable passion in the items that they are collecting. I have previously been and still am passionate about art and wine. However, somehow I do not seem overly enthusiastic about building an art or wine collection, perhaps partly due to the reasons that I will discuss here. That was before I discovered the world of horology. In the short period of time that I have immersed myself in this new world, my passion for watches has already overtaken that for art or wine. I am much more excited to start building a watch collection. Having said that, I must admit that I have not yet been properly exposed to other collectables such as stamps or antiques, and so I do not know enough to judge how much I will enjoy those. However, I seriously doubt that I will have the same level of interest in other collectables as I have in watches. I am genuinely eager to venture deeper into the world of horology. It will be a magical journey. Through my writing, I hope to share with you what I experience and learn along the way. The more I explore this new world and learn about horology, the more I am addicted to watches. It is like a driver cruising on a beautiful road with pleasant surprises every now and then - the more he drives, the more he wants to drive. Part of the fun from acquiring a new piece, to me at least, lies in the time and effort taken to research about and to finally find that particular piece at a price that appeals to me. That is partly why I do not really want people to give me watches as gifts - it is also because the watch may not be what I like or fit into my collection. 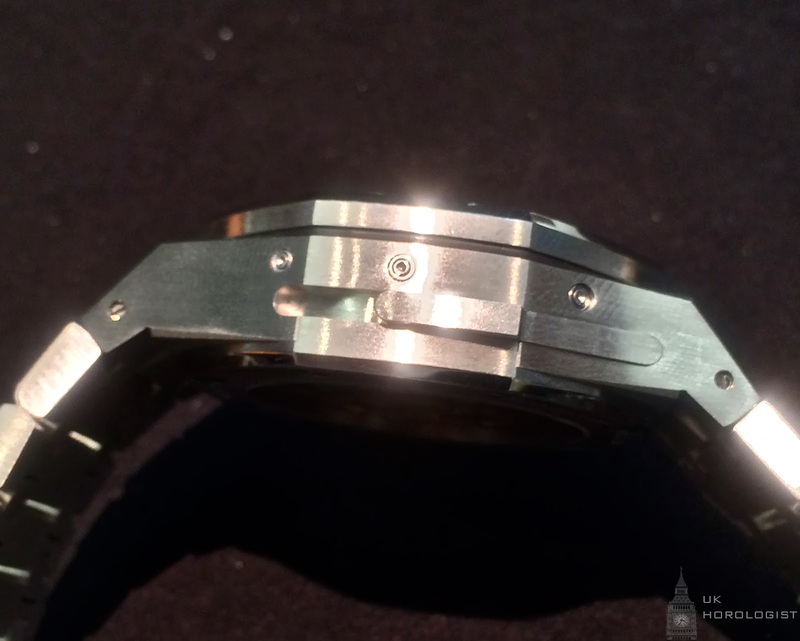 Coming from a non-technical background, I am especially curious to study the mechanics of watches, so that I could better appreciate the construction of the pieces. Without knowledge about the engineering that goes on behind the scene, I feel that I would be missing out on a big part of the whole horology experience. From what I have seen so far, the mechanics and engineering involved in creating a watch is as much a work of art as it is intricate science, beautifully balanced. And that is even before taking into account the aesthetics and exterior design of the watch, which is a display of yet another delicate relationship between art and science in horology. Because mechanics and engineering play an important part in horology, especially in comparison to other collectables like art, the prices of watch pieces are more rational. As there are ascertainable levels of skills and amounts of time required from professionals to create each piece, there is a more objective correlation between the quality of a piece and its price. As with art, history and provenance are also considered by collectors. However, in contrast with art, it is relatively unusual for a watch to be a one-off piece. Also, the quality and authenticity of a timepiece are comparatively easier to establish - perhaps even by the same manufacturer that made it! 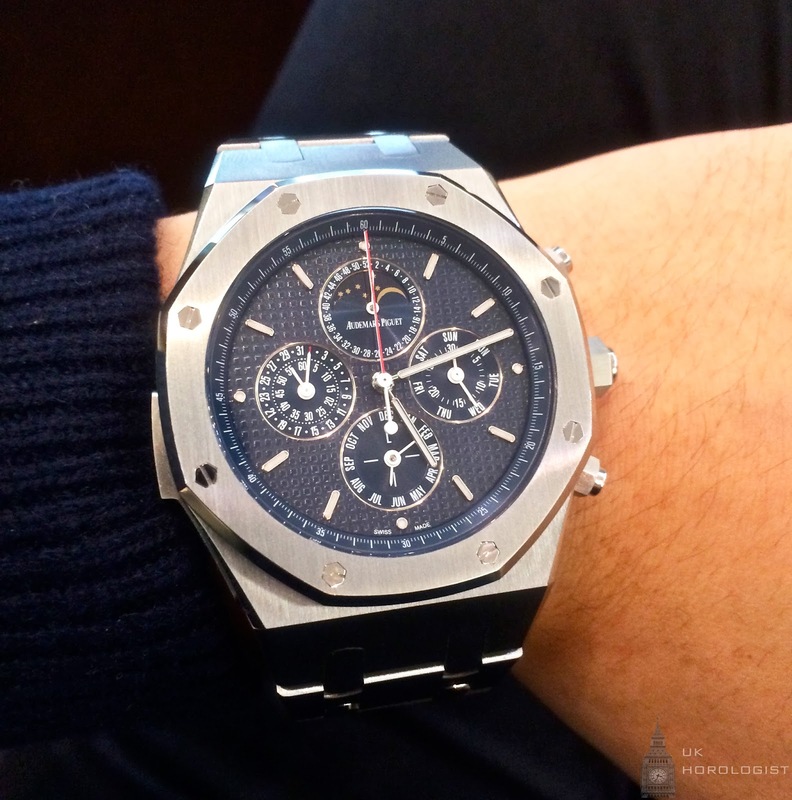 These all contribute towards the objectiveness of prices in relation to watches and timepieces. On the other hand, timepieces also retain the element of personal expression that art has, but perhaps in a subtler manner. Through choosing - and even customizing - a watch to wear or to acquire, one makes a personal choice and statement that demonstrate one’s taste or style, and show who one is. It can also convey a meaning or message, unique to that person, about a particular occasion or emotion, or even what one is thinking. 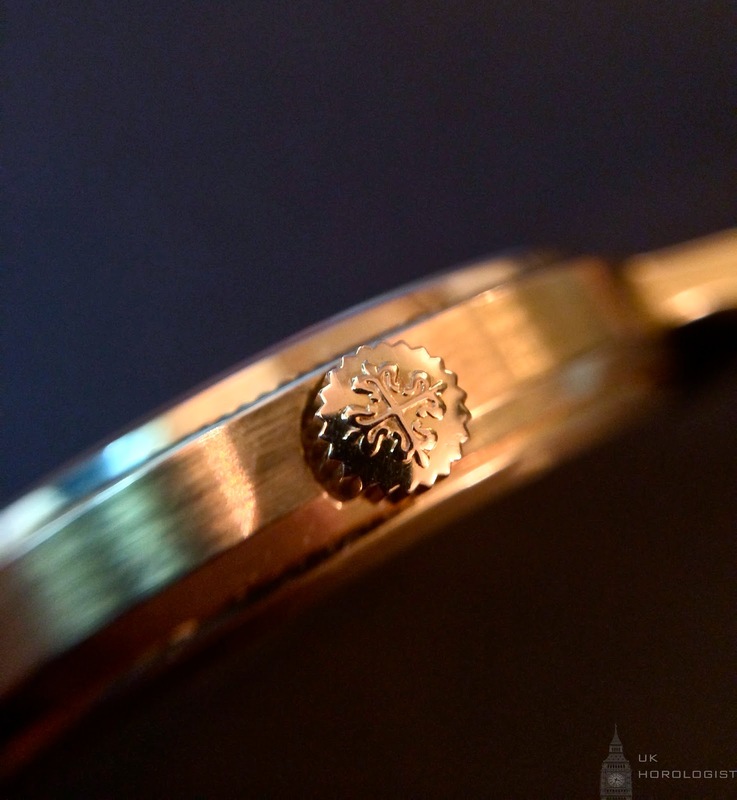 Although a collector may have a watch that he or she feels that best represents him or her, it is very rare that a single piece can be a perfect expression of an individual. In building a collection, a collector is able to develop a more complete picture, with multiple dimensions representing different sides of his or her personality, as well as a diversity of feelings. If watches can be used for personal expression, then it makes sense that no two watches are the same. Even if they are mechanically identical, the memories and stories behind each watch is what makes each piece unique - not unlike how memories and stories can define the collector himself or herself as an individual. There might be a story behind why a collector acquires a particular watch - for example to mark a special event or milestone in life. The process from determining which piece to look for, to finding it and finally adding it to one’s collection may also be an experience in itself. As one could wear a watch almost all the time, and enthusiasts usually do, it could almost become one’s closest friend and companion in its literal sense, as it would be physically on one’s wrist. The watch would be with its owner every day, capturing memories and special moments. 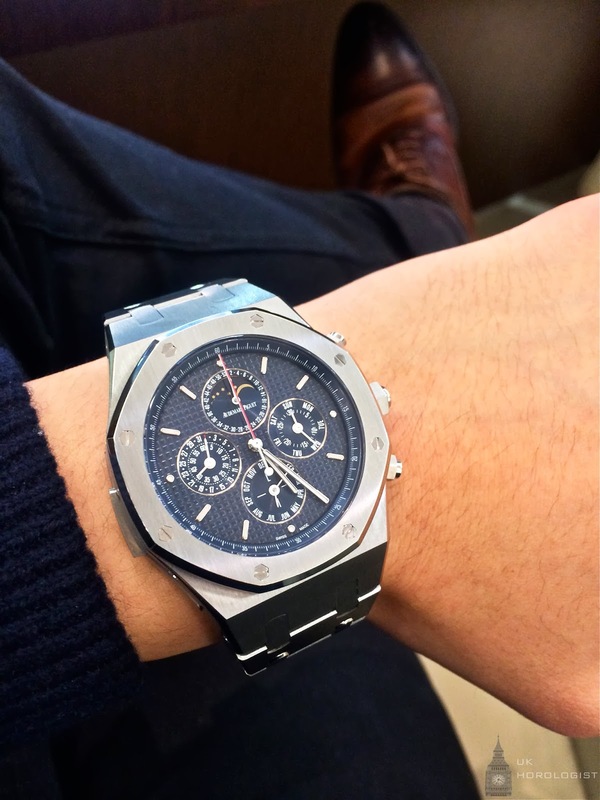 A collector who has more than one watch may choose to wear different pieces at different times. Then his or her watches collection will also be a collection of memories and stories - a collection where each piece has witnessed some part of the collector’s life, and together they become a legacy showing who the collector is, like a time capsule telling his or her life story. But unlike with other collectables such as wine, this collection can still be appreciated in the future pretty much as it could be now, immortalizing the stories and memories of the collector, for these to be relived and retraced anytime and by anyone. For watches to be part of a collector’s history, capturing memories and stories, they must be able to be worn almost anywhere and at anytime. This means that the pieces in one’s collection, however large or small, ideally should together be sufficiently versatile so that at least one piece from it would be suited for any occasion or to match any outfit. To that end, watches could also be considered as fashion accessories. Choosing which watch to wear for which occasion or with which outfit, at least to me, is part of the fun and experience. Also enjoyable is identifying which piece to add to one’s collection next, so that the collection as a whole could be more versatile. An additional attraction about the world of watches is that not only the pieces are versatile, but horology and watch collecting are also as versatile. The history of timepieces are closely linked to and heavily influenced by many hobbies and professions - from divers and drivers, to pilots and soldiers, to engineers and astronauts. For a collectible to be versatile, it must also be practical. Ideally, it should serve a function that would be useful to the collector in his or her daily life. Although it could be argued that all collectibles can be used for decorative purposes depending on how they are displayed, most collectibles, apart from mainly art and antiques, have more than one use and form of enjoyment. Other practicalities include the storage and display of the collectibles. Car collectors need large garages to park their cars, and while art collectors need lots of wall space to display their art. Wine collectors need temperature controlled fridges or cellars, while cigar collectors need specially conditioned humidors. And because of the more flashy nature, jewelry collectors need secure safes or storage. In contrast, watches require little space to store or display, with almost no special conditions or infrastructure necessary. Most pieces are intended to be used and worn, so they are well prepared to be exposed to the outside world. And while other collectibles need to be displayed at a fixed place, or at least in a display case, watches could be displayed on the collector’s wrist naturally at any time and place. Better still, the collector could choose to display a different piece every time, making his or her wrist a moving gallery that is able to rotate between pieces with utmost ease. I also believe that a collector should be able to fully enjoy and appreciate his collection. There is only so much wine or cigars that one could, or should, consume in a given time period. Moreover, once these have been consumed, the same item cannot be enjoyed and appreciated again in its same form. And if these have not been consumed, perishability will become an issue no matter how well the wine or cigars are stored. Also, in this time and age, busy collectors are always on the move. If the collectible items have to be installed or stored at a fixed place, with not much use in everyday life, it means that the collector would not be able to enjoy it everywhere and all the time. With watches, the collector could at least wear one piece with him whenever and wherever he or she wants. One of the main reasons why people collect and display items that they are passionate about is to share it with others, especially like-minded peers who can appreciate them. Being a collector is similar to being part of an exclusive club or community. When a watch collector sees an interesting piece on the wrist of, or can have a good conversation on horology with, someone they just met, it feels like that there is an invisible bond and the other person would instantly seem closer to the collector than he or she otherwise would be. As with most other collectibles, collectors of modern watches are usually able to interact with the house, and sometimes meet the person, that created the piece. Vintage watch collectors may even have the opportunity to get to know the persons who had previously collected each piece. These kinds of direct interactions and engagements also contribute towards the whole experience of acquiring and collecting a piece. Above all, horology and watch collecting has become a passion of mine and a source of inspiration. Being immersed in this world can take my mind off other endeavors and bring clarity to my thoughts. For now, I have said to myself that I will only acquire a new watch if I have achieved a certain goal or milestone. Thinking about my next piece, and that I can start looking for it after achieving that goal or milestone, gives me motivation to focus on getting there. It is an aspiration, a dream even, that is attainable, but would still require me to chase after it. 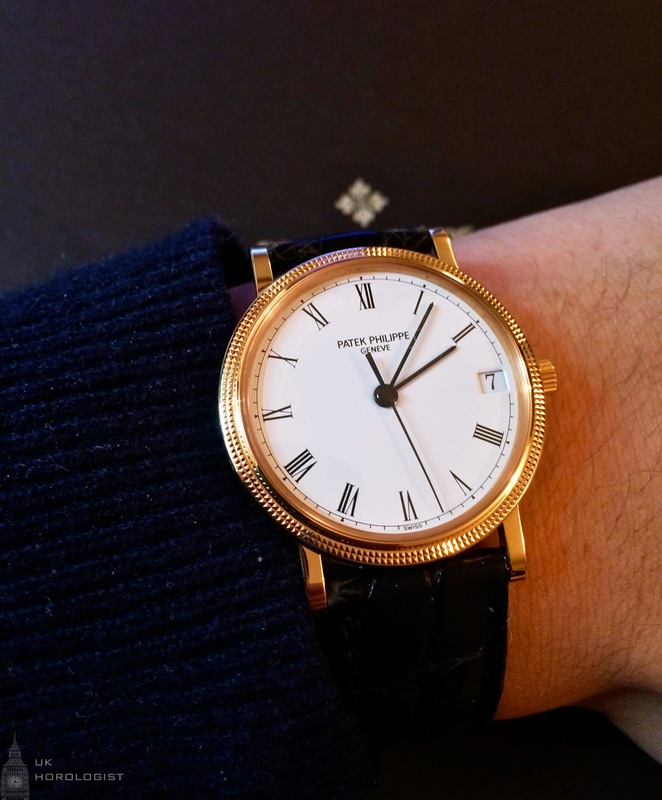 Patek Philippe have unveiled a truly special piece, the Grandmaster Chime Ref. 5175 to commemorate their 175th Anniversary. The piece is Patek's most complicated wristwatch yet with 20 complications, 1,336 movement parts and 214 case components. Passion investments returned 77% (local currency terms)* since 2005, outperforming shares, according to the first edition of The Coutts Index: Objects of Desire. Launched today, the new Coutts Index aims to provide the global benchmark for monitoring the performance of passion assets. The Index, developed in conjunction with Fathom Consulting, captures the price return in local currency (net of the holding costs) of 15 passion assets across two broad categories: trophy property and alternative investments. Alternative investments can be further broken down into fine art, collectibles and precious items. Of all the alternative investments Coutts examined for the Index, classic cars have returned the most since 2005, rising by 257%, outpacing all other investments by more than 80 percentage points over the seven and-a-half-year timeframe. Classic watches have also proved they can stand the test of time, rising by 176% from 2005 to 30 June 2013. Jewels returned 146% in comparison, while the standout performer in the fine art space is the traditional Chinese works of arts sector, which rose by 163% between 2005 and 30 June 2013. Over the past seven and a half years, the Coutts Index, based in US$ terms, has risen by 82% – over the same period, the MSCI All Country Equity Index has risen by 53%, based in US$ terms. The Coutts Index incorporates a real estate component supplied by Savills World Research. Trophy property comprises ‘billionaire’ residential properties in the ten prime global city locations and ‘leisure’ properties in the world’s most desirable leisure destinations associated with these cities. Both measures lost value in the run-up to the global recession, but billionaire property values have risen strongly since, rising 100% from 2005 to 30 June 2013. Mohammad Kamal Syed , Head of Strategic Solutions at Coutts, said: “The Coutts Index has been created to measure passion assets, or objects or desire, in terms of performance, cost of storage and currency. But while many alternatives have provided spectacular returns, there is more to investing in these assets than price appreciation. For many people, profit is furthest from their mind." He added that for many ultra-high-net-worth individuals, it is less about investing and more about purchasing – purchasing assets driven by their emotions. Coutts commissioned articles and interviewed experts for its first edition of the Coutts Index. They included Stanley Gibbons, the world’s leading stamp dealer, Berry Bros. & Rudd, the wine merchant and auction houses Sotheby's and Christie's. 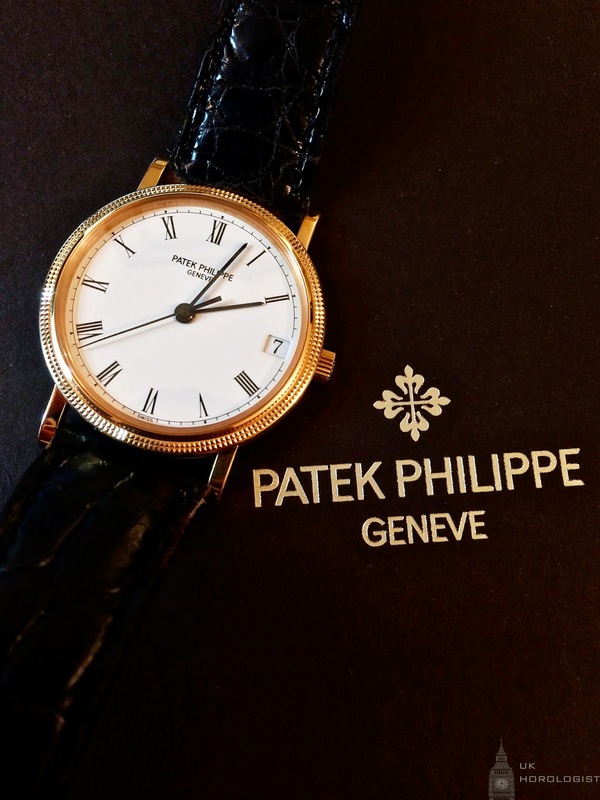 The Calatrava range has always been at the forefront of Patek Philippe's collection. Its seemingly 'simple' yet distinctive aesthetics give its unparalleled elegance. The reference 3802 here, cased in 18k yellow gold is no exception. Upon close inspection, one will come to realise and appreciate the sophistication behind this piece. The unique hobnail bezel is finished at the highest level, giving this sheen. The front of the lugs are polished and the sides of the lugs and the case are brushed. 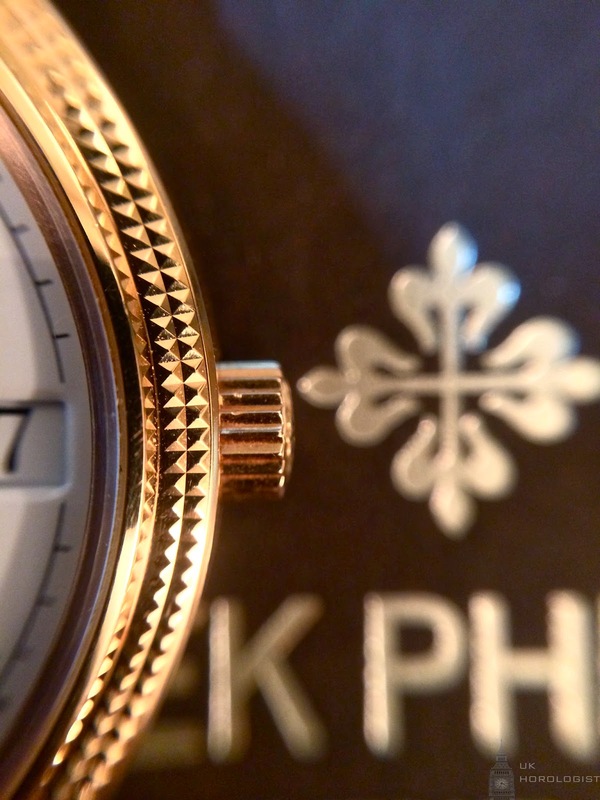 The crown is decorated with the Calatrava emblem just like other Pateks. I am pretty sure that many of the fortunate souls who had the pleasure of getting their hands on a Patek will agree with me in saying that the thing that amazes us most about Patek Philippe is their inordinate attention to minor details. I really believe that Patek are one the very few fine watch houses that have truly mastered the art of perfecting the fundamentals - and this probably is one of the reasons why Patek Philippe as a brand is so highly regarded by many in the watch community. This rule applies to the inside as well. 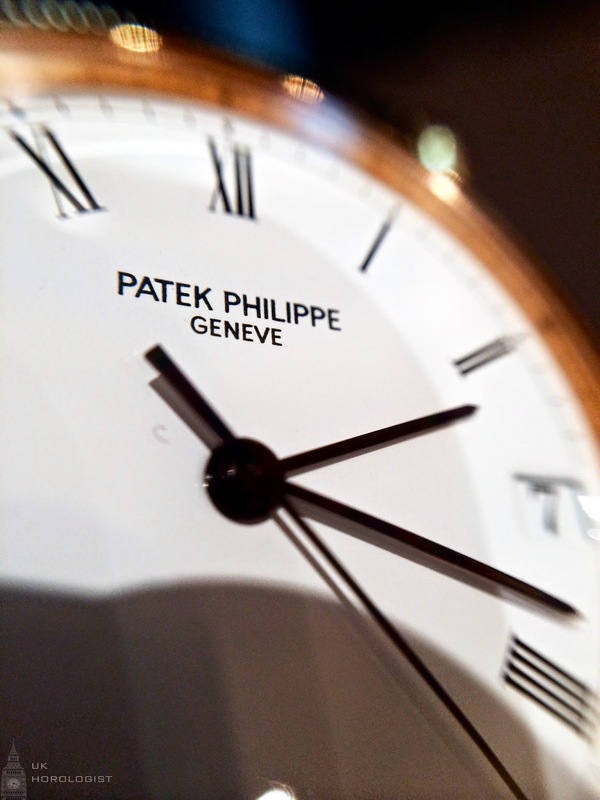 The movement that powers 3802 is Patek's in-house, Geneva-sealed automatic caliber 315sc*, which beats at 21,600vph. Often the finish on the movement translates into its reliability: this particular 3802 has been in our family possession for almost 20 years with fairly regular usage but till this day, it had never once gone back to the Patek workshop. Even though the user of this piece has a few other Patek selections, including the Perpetual Calender 3940 in Platinum with roman numerals, he strongly feels that the 3802 is the most usable. Its understated suaveness, the size and the reliability make it so usable as a daily watch, whether you are just having a typical day or going abroad on a business trip. 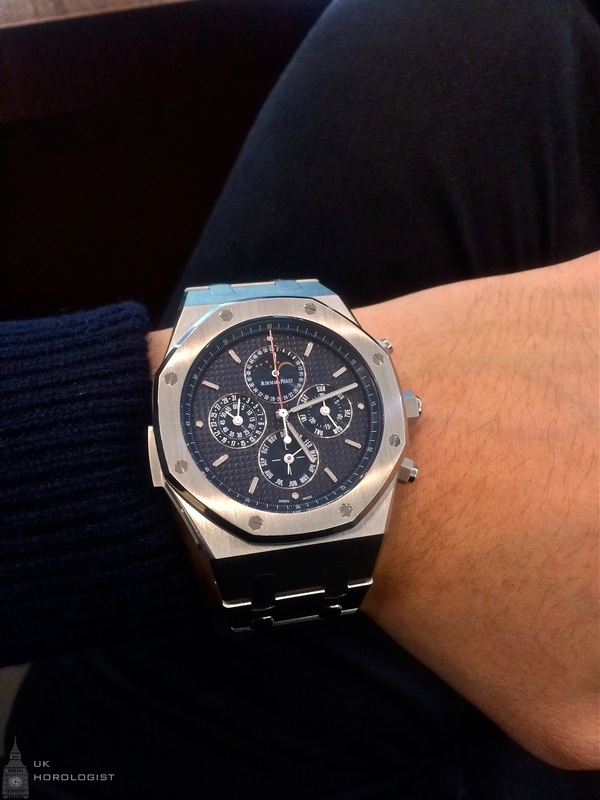 Whether you are a fan of AP or not, this should be considered as a serious timepiece. This is THE piece that embeds all the essential elements and qualities of the 140 year old Le Brassus based manufacture. This piece is a time capsule that contains significant parts of the history of haute horlogerie. This piece is personal, cherished and somewhat sentimental (I know some of you're going "huh?" but don't worry, I'll elaborate more on this point later!). In the context of the piece that we're discussing here, the important thing to take on board is that this is the watch that is packed with some of the AP's proud landmarks, landmarks that not only transformed AP themselves but also the industry. Aesthetically, this 40th anniversary Grande complication captures a lot of the iconic elements of the standard Royal Oak. 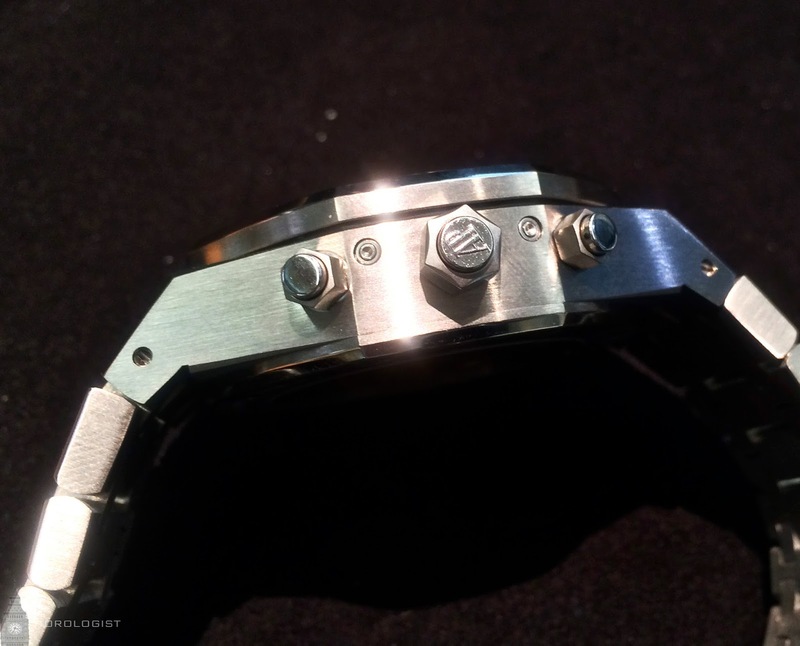 The case, bezel and bracelet are all made from steel. Unlike most other variations of Grande Complication Royal Oaks, this features the blue Petite Tapisserie dial as it was in the original 1972 Royal Oak. The case measures 44.00mm and 14.80mm in width and thickness respectively, and yes, you might argue that it is bigger than the 'conventional' Royal Oaks, but Cal. 2885 inherently makes it bigger - I mean if you have a bigger brain, you need a bigger head. Don't you? 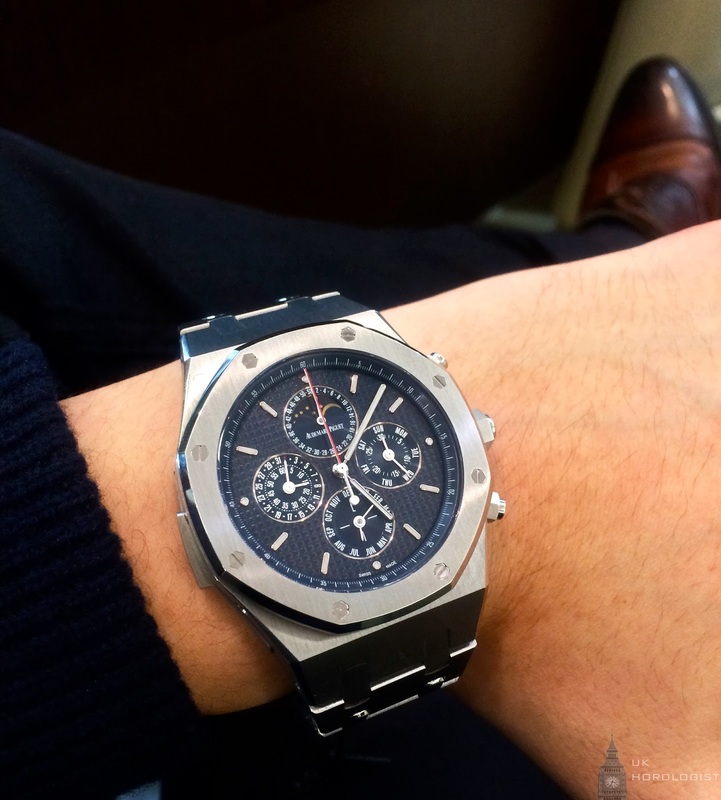 When it comes to finishing on the case and the bracelet, as I mentioned about a million times in other AP posts, I think there's nothing quite like a Royal Oak - The brushed and polished finishing all the way down to the clasp is nothing short of magical. I don't believe I need to do much talking to explain or convince you how beautiful this piece is. I'll let the photos do the talking (There are more photos below). Let's talk a bit about the technical stuff now. This beast is powered by the automatic cal. 2885, which is an in-house movement that is composed of 648, mostly hand-finished parts with 52 jewels - just from the number of parts, you can probably understand why this watch is a "Grande Complication". Those 648 parts harmoniously work together to perform series of acts, which are otherwise known to us as: perpetual calendar with moon phases, minute repeater, split-seconds chronograph, week-indicator and hours and minutes. Unlike many other Grand Complication watches, this piece is powered by an automatic movement. 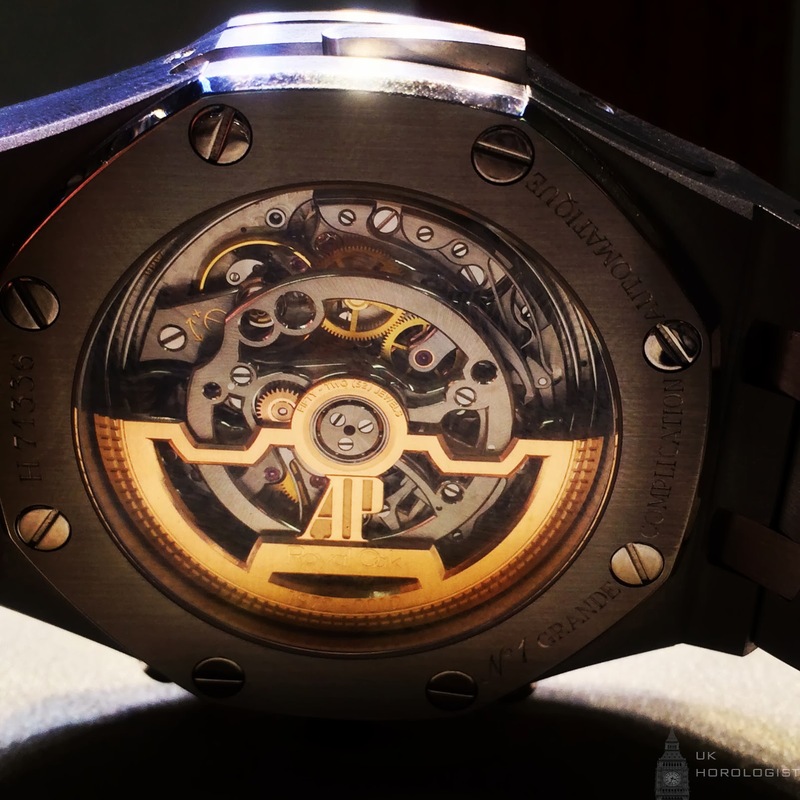 The rotor is made from 18-karat solid gold and the winding is unidirectional. I know some watch snobs might argue that you would want a manual-wind movement on Grande Complications to feel and absorb the piece but I would flip the argument and say having that extra complication of automatic winding makes it extra special, and of course, you are also getting a piece of gold! On top of that, AP allows you to customise the rotor should you wish to add a personal touch. I genuinely think that this is one of the most exciting, unusual Grande Complication watches around, both technically and aesthetically. When you talk about Grande complications, you generally would expect them to be quite 'conservative' with the case deisgn, but scrap that, this really is one of its kind. 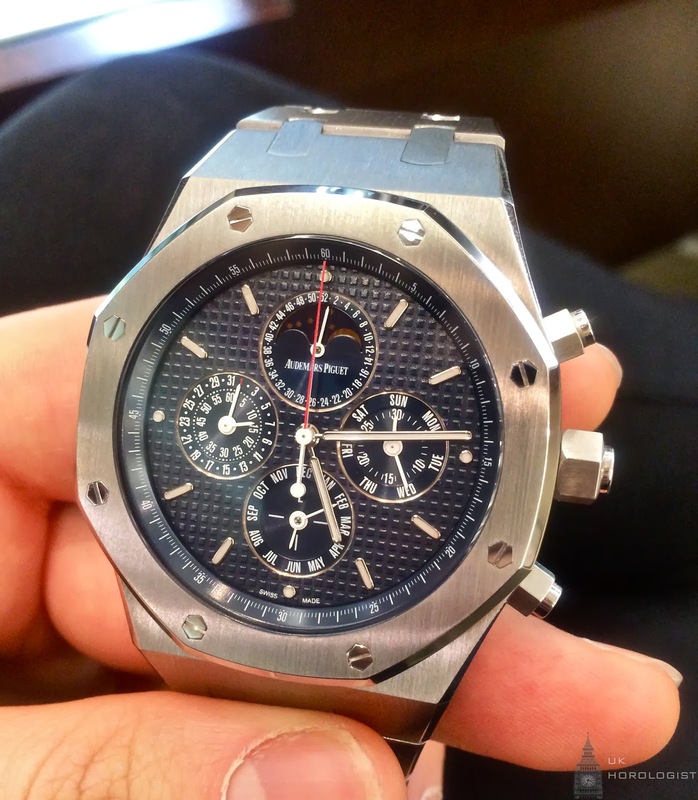 Even just the idea of having Grand complication in what is supposed to be classified as a sports watch is somewhat mind boggling - some of you might even get confused by this fusion of super complcated movement with a sporty case. Having such complex mechanism in a way defeats the purpose of a sports watch as it significantly reduces the resistance to water and so on but like I aforementioned, I think this is one of its kind, a watch that has its own rights, a watch that is neither a sports watch nor a dress watch but a watch that is simply "Audemars Piguet Royal Oak Grand Complication". 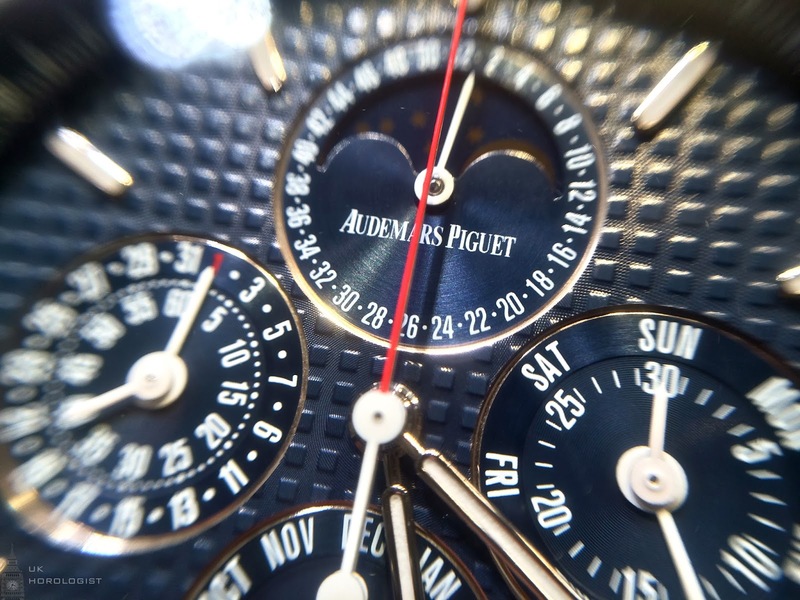 In the opening of this post, I have mentioned that this is a watch that is somewhat 'personal, cherished and sentimental' - I said this because, each and every Grand Complication piece created by AP is assembled and finished by a designated master watchmaker and when it comes back for servicing, it will be the same watchmaker who will service the piece. By owning one of these, you form a bond with the maker, which I think is something very special. 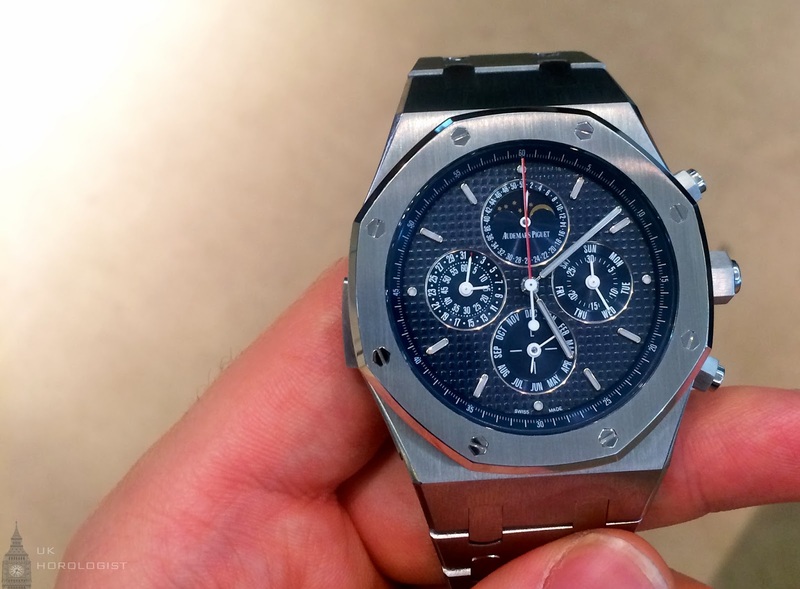 Above all, what I like most about this piece is the fact that this is a watch that shows what AP as one of the most prestigious watchmakers stand for. It's a piece that encapsulates a part of history of fine watchmaking - and if you are a bit of watch aficionado, I would imagine it would be hard for you to resist admiring a piece that tells a story (and that does plenty of other things!). 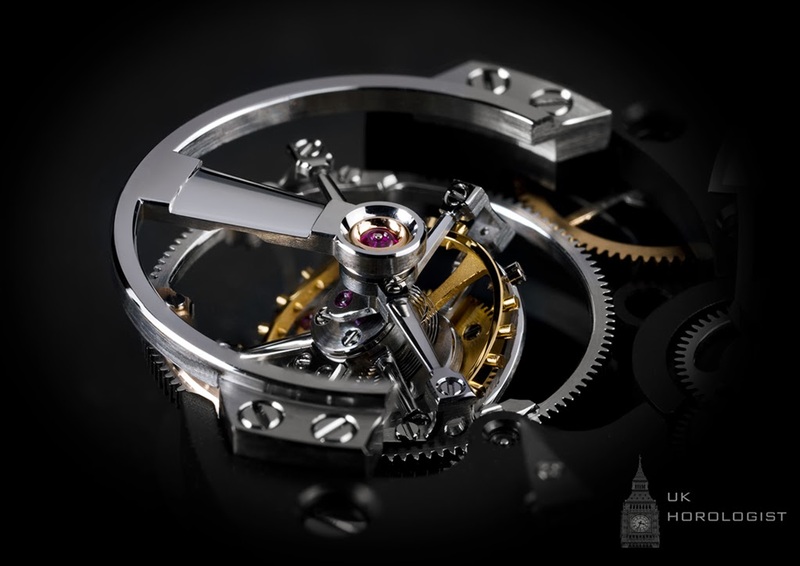 UK Horologist, contact: ukhorologist@gmail.com . Awesome Inc. theme. Powered by Blogger.